First, is it already the seventh weekend of the New Jersey season?! Second, this week might as well have been three weeks combined. If you can believe it the Group 3 and 4 State Relays were just a few days ago, we had a live stream at a great Morris County Championships full of multiple kicks to the line, and this Saturday had a great number of major performances from all over the map thanks to our New Jersey athletes both current and graduated. Where to begin, check it all out below. Please note that this article is definitely still under construction. There will be more notes added under meet titles, recaps, and plenty of content still to be linked. Keep checking back as we close out the weekend. The Ridge girls and Franklin boys earned the team titles, this is the fourth straight for Ridge. Sean Dolan and Devin Hart run second and fifth in the junior mile, Dolan a US#2 time of 4:13.04 and Hart US#9 4:14.60. New Jersey track and field legends competed.. Sydney McLaughlin had her professional debut running a world leading time of 1:09.46 over 500m. Edward Cheserek finished second in the 3000m with a time of 7:42.93. Union Catholic sweeps the team titles once again! More to come. Pleasantville's Gabriel Moronta and Quentin Bundy went head to head to run 1:59.48 and 1:59.90. 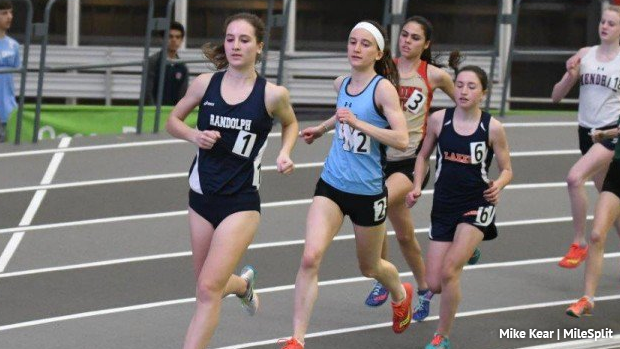 They join 20 NJ athletes who have gone sub-8 so far this season. 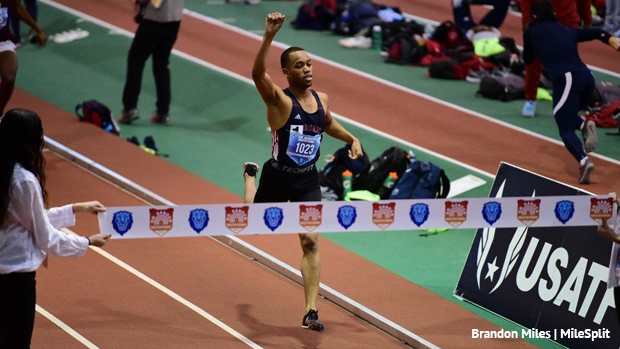 Athing Mu and Luis Peralta popped off major times in the 1000m, both moved into the high school top ten all-time Nationally. Mu a 2:44.43 and Peralta a 2:24.53. The Millville girls rolled to its first title ever, and South Brunswick came up with a clutch fourth-place finish in the 4x400 to edge defending champion East Orange for the boys championship at the NJSIAA Group 4 Relays on Wednesday night at the Bennett Center in Toms River. The NJSIAA Group 3 State Relay Championships did not disappoint! The Winslow girls won their second straight championship with strong performances on and off the track. 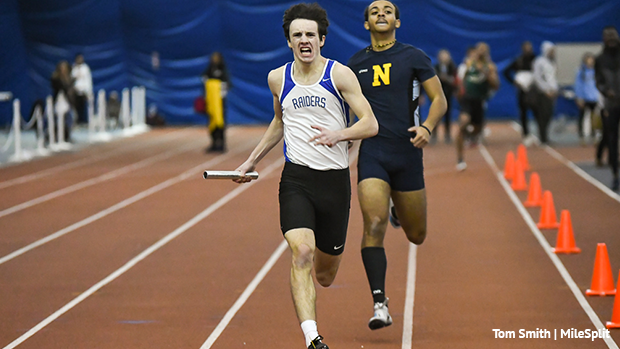 The Scotch Plains-Fanwood boys secured their victory with a dramatic 4x400m win over second place Hamilton North.